Work Smarter Stress Less | Start Now! START WITH BETTER TEAM MEETINGS TODAY! One of the best ways to work smarter is by running better team meetings. As a leader, this is one of your most important jobs. 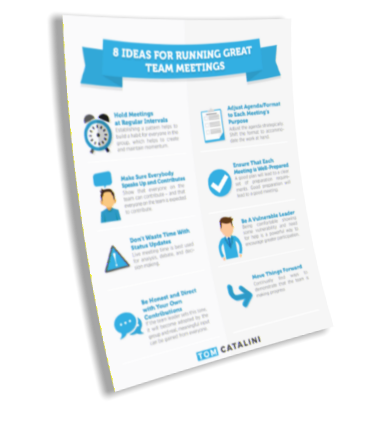 Grab this free cheat sheet to learn 8 Ideas for Running Great Team Meetings right now! I Want Better Team Meetings! You can use it to immediately start building a stronger and more capable team. Hi, I’m Tom Catalini, author of Career Leap Year and other books on professional development. I’ve struggled and succeeded as I worked my way up from the front lines to the executive suite, across a dozen different industries. Along the way, I’ve hired, managed, and mentored professionals at all levels. 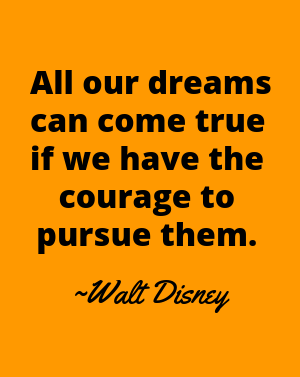 I’ve consulted with the largest organizations and the smallest startups. Now, I’d like to help YOU. Whether you want to find a new job, grow your skills, find greater happiness at work, increase your earnings—or all of the above, I’m here to help. Soon you too can start enjoying work more while you reach new heights in your career. Use these to shift your mindset, hone your communication skills, build your leadership skills, and more.